Rusty Staub passed away this morning due to multiple organ failures. He was 73. I didn’t really start following baseball until Staub’s 23-year playing career came to an end. I knew him through stories… as one of the best pinch-hitters in the National League… as the guy who hit .400 in the 1973 World Series with a bum shoulder… as the guy Davey Johnson tried to hide in the outfield during an 18-inning game in 1985, when he hadn’t played out there in close to two years… despite Johnson’s efforts to switch him between left and right field to keep him away from chances, Staub managed to make a game-saving catch when Rick Rhoden hit a ball to him. I remember Staub as a restaurateur and a broadcaster… again, both through stories. I never visited his eatery and we didn’t get the channel he worked for. I remember Staub for the stories about all the work he did on behalf of the New York Police and Fire Widows’ and Children’s Benefit Fund. The nice thing about stories is that they never die, as long as we keep telling them. Please share your stories about Rusty Staub in the comments, and enjoy the video of Rusty Staub Day in 1986 from YouTube. 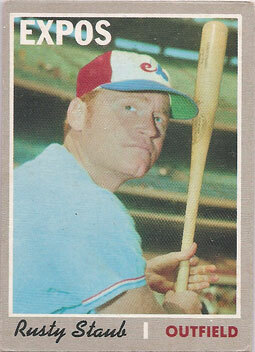 Because I just haven’t had enough baseball cards or Montreal Expos stuff on here lately and Rusty Staub is always cool. The playoffs are still a couple of weeks away, but I’m planning to root for the Expos’ descendant, the Washington Nationals, when they start. If your team didn’t make it to October this year, who do you plan to root for once the playoffs start? 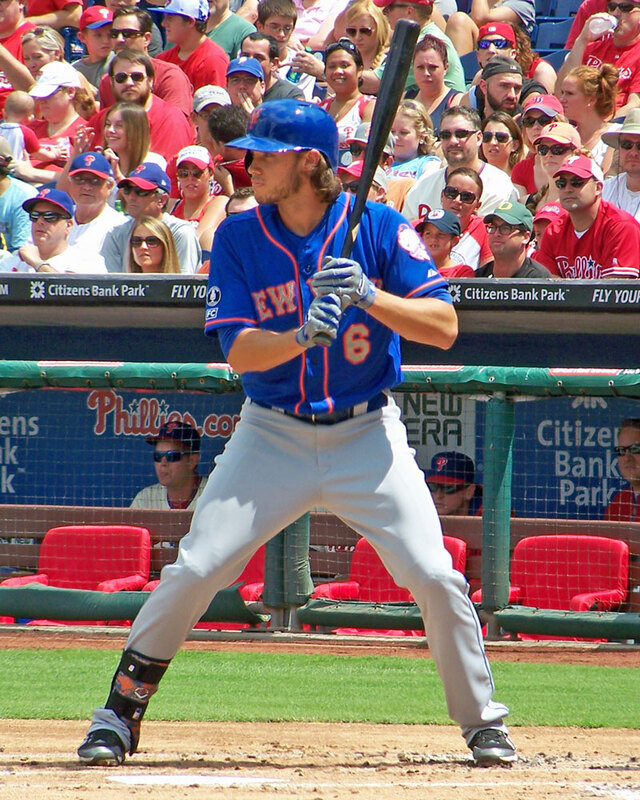 Chris Potter Sports announced a new round of private signings, including a number of former Mets. Items are due by Aug. 15 and will be shipped back by Oct. 10. Ralph Kiner, Rusty Staub, Mike Torrez, Mickey Lolich, Dean Chance, Bret Saberhagen, Kevin Collins, Jim Gosger, Frank Tanana, John Franco, Jay Hook and Joe Christopher are among the names that might be of interest to Mets fans. 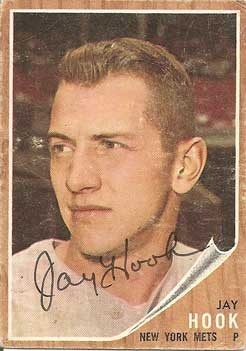 Prices range from $8-$50, depending on the player and the item to be signed. I know I need Chance for my Mets all-time roster project, but I have to figure out if I need any of the others for side projects. Will Rusty Staub be elected to the Hall of Fame today? The results of the Hall of Fame’s Expansion Era Committee voting will be announced later this morning. Most of the buzz has surrounded George Steinbrenner and Marvin Miller – at least to the extent that the committee’s ballot is generating buzz. But there’s a chance that former New York Met Rusty Staub could find his way into the Hall of Fame tomorrow. Staub’s best showing on the regular Hall of Fame ballot was just 36 votes in 1994 — 7.9 percent of the total ballots returned, so it would be a surprise if he made it in now. Staub played for 23 seasons and accumulated 2,716 hits, 292 home runs and 1,466 RBI. He was a 6-time All-Star and finished in the top 5 for the AL MVP in 1978. After his days as a regular player ended, Staub earned a reputation as one of the best pinch-hitters in the game.